See Peals page for details. Steeple Aston ringer Jack Knowles is pictured here with his new brother Mylo Edward. This is the first baby born to a Steeple Aston ringer for 27 years. 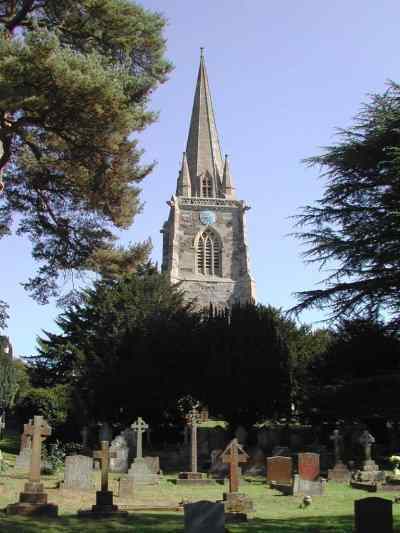 Adderbury bells have fallen silent until the end of the year until some maintenance work has been completed on the spire and tower. 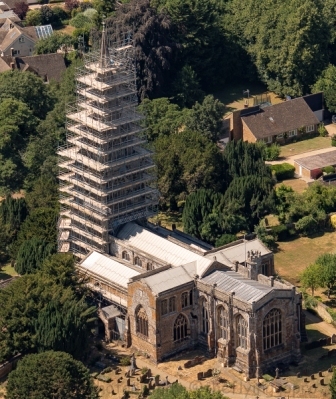 In order to undertake the work the whole of the tower and spire have been wrapped in scaffolding making a very impressive sight as you approach the church from various directions. A concentrated period of quarter peal ringing is often a good way to make progress in change ringing and this year our Spring Quarter Peal Fortnight records success in a number of areas. Fourteen year old Hannah, from Steeple Aston, achieved a very creditable quarter at her first attempt and Jack, also from Steeple Aston, went to the neighbouring tower of North Aston to ring his first inside. Kevin, a Cropredy ringer, scored his first quarter when he covered to Bob Doubles at his home tower – not quite at his first attempt as that one failed during the first week, but fortunately we were able to re-schedule for the last day of the fortnight. There were a number of other firsts, as will be seen from the footnotes to the individual quarters. We had a quarter of the appropriately named Dragon Place Doubles planned for St Georges Day so, by happy coincidence, we were also able to mark the birth of a son to the Duke and Duchess of Cambridge. Congratulations to Alan and Margaret Griffin who celebrated their Golden Wedding Anniversary on February 24th. They were joined for lunch at Lyneham Golf Club with friends from across the 50 years. The following day Alan showed just how good married life and Margaret's puddings have been by ringing the tenor at Bloxham to a quarter peal of Cambridge Surprise Major (see peals page).